You know how on Anderson Cooper you were telling him about alternate-nostril breathing? You seemed really adept. You should try teaching a class. Take more photos in the woods. How else you are going to meet unsuspecting hikers? Take up a new hobby in the New Year: Volunteer work, knitting, improv comedy – literally anything that will keep you from running again. Put away your James Comey voodoo doll. We all know you think James Comey cost you the election, and maybe he might have, but so did a handful of other things. It’s a year later and time to move on. 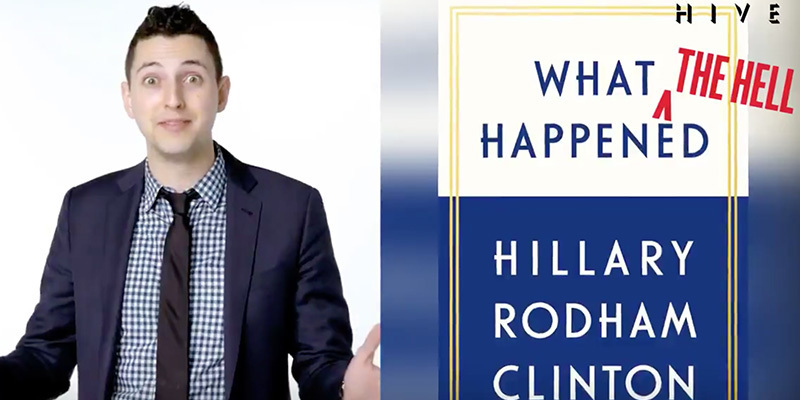 They did make make similar videos mocking other politicians including White House chief economic adviser Gary Cohn, White House press secretary Sarah Huckabee Sanders and Donald Trump, but it is the Clinton supporters who were protesting. While late night comedians, and others, have helped us get through the misery of Donald Trump’s first year, just imagine the protests if Clinton was in the White House. Anyone making a joke about her, along with anyone protesting her wars, would be under constant attack as being sexist (or a pawn of Putin). Peter Daou, who is promoting the #CancelVanityFair hashtag, had a rather weak comeback with, “Vanity Fair had the audacity to tell Hillary she should take up knitting. Today we learn she’s the most admired woman in the world for the 16th consecutive time, according to Gallup.” While she came in first, Clinton was listed as most admired by 9 percent of those responding–down from 12 percent last year. That is hardly a show of support in a poll which is primarily based upon name recognition. It is more significant that Gallup recently found that Clinton’s favorable rating has fallen to a new low of 36 percent, falling below that of Donald Trump. Russia is taking a lesson from Hillary Clinton in whining and irrational complaints, now complaining of foreign intervention. Hillary Clinton won the Democratic nomination in a system which was essentially as rigged as picking nominees in the proverbial smoke-filled room–or almost as rigged as a typical Russian election. When she thought that she was going to win, Hillary Clinton said that Donald Trump “threatens democracy” by not accepting the election results. When she subsequently lost as a consequence of her own faults, Clinton decided within twenty-four hours of losing to place the blame on others, and later became even more aggressive in questioning the legitimacy of the election. As I noted back in a 2007 post, this is not the first time in which the Russian government has acted to prevent opposition forces from competing in elections. In our era of constant world-wide interaction on social media we will always see “interference” in foreign elections if any comments by one government is considered to be interference. What matters is that there is no reason that the United States State Department cannot comment on the undemocratic nature of the Russian election. This “interference” is no more likely to alter the results of the Russian election than Russian activity on social media affected the results of the US election. 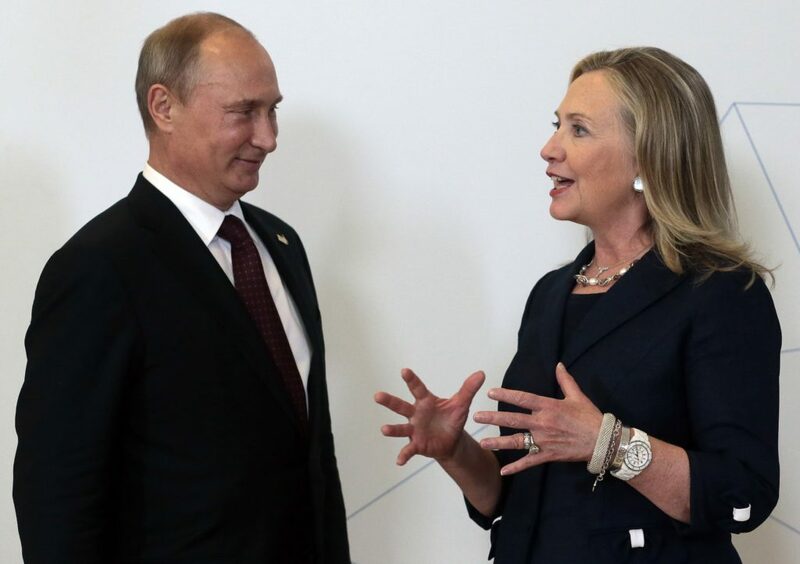 Besides, Democrats in the United States have been helping Putin quite a bit. Russian opponents of Putin have complained that the false portrayal of Putin as such an powerful puppet master that he can alter foreign elections enhances his reputation and political strength.